Franca Iacovetta — Gatekeepers: Reshaping Immigrant Lives in Cold War Canada. TRAVERS, Tim — Pirates: A History. TALBOT, Robert J. — Negotiating the Numbered Treaties: An Intellectual & Political Biography of Alexander Morris. 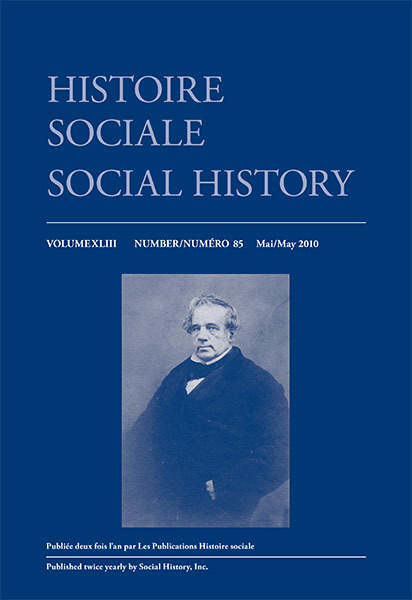 ERRINGTON, Elizabeth Jane — Emigrant Worlds and Transatlantic Communities: Migration to Upper Canada in the First Half of the Nineteenth Century. FLEMING, R. B., ed. — The Wartime Letters of Leslie and Cecil Frost 1915–1919. TULCHINSKY, Gerald — Canada’s Jews: A People’s Journey. HORODOWICH, Elizabeth — Language and Statecraft in Early Modern Venice. PARIS, Leslie — Children’s Nature: The Rise of the American Summer Camp. MACFARLANE, John — Triquet’s Cross: A Study of Military Heroism.